Introduction and Afterword by Joe Wheeler^Among the Focus on the Family Great Stories collection, "David Copperfield" is a perennial favorite. In this story of an innocent orphan making his way in an uncaring world, Dickens draws a gallery of memorable characters into young David's life, such as jovial Mr. Micawber and the sniveling, sinister Uriah Heep. Joe Wheeler's introduction and discussion questions provide additional clarity for today's reader. "David Copperfield," with its message of hope amidst harsh reality, has been called the greatest growing-up book ever written. 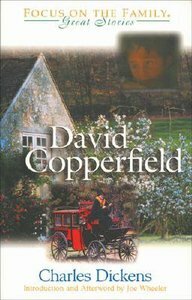 About "David Copperfield (Great Stories Series)"